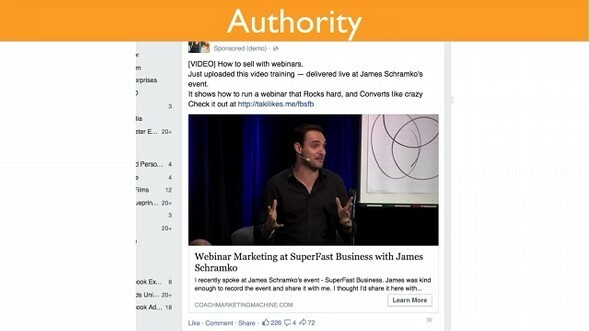 Done properly, Facebook advertising is a powerful marketing tool. But how do you go about it? Get it straight from Facebook advertising specialist Keith Kranc. 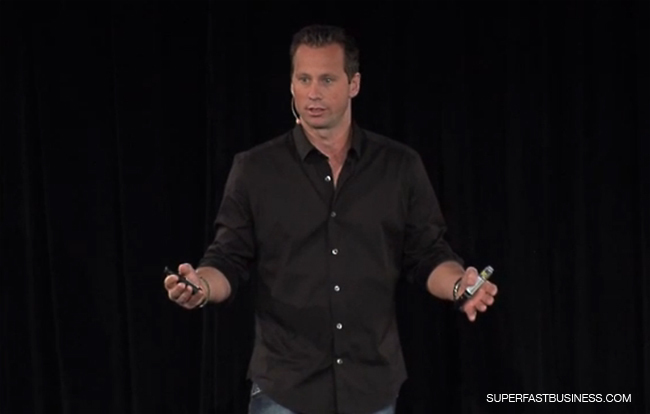 Discover meaty tips in this preview of his talk at last year’s SuperFastBusiness Live event. 10:46- They’re in your funnel… now what? So I’ll try to disconnect. The problem is, these people are always connected. So what we have to do is we have to figure out how to combat this and there’s a lot of pretty cool ways. This is one system that we use and it goes along with a lot of the theme that’s been talked about this week. I’m going to walk you through basically a few different core strategies that you can implement. So pay attention and it should be pretty fun. Step 1, this is what I call my promoted post retargeting loop. This is not brand new. I’ve been talking about this for a while now. Sometimes it’s difficult for people to implement this because it’s hard to measure the direct ROI. 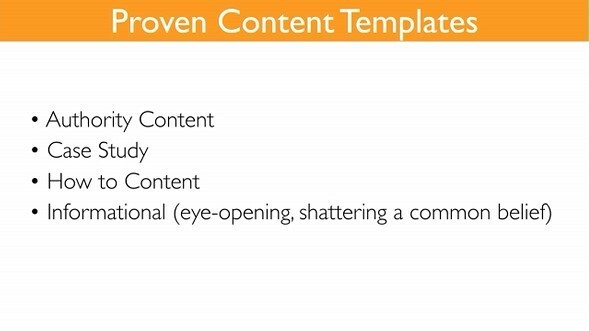 What you’re going to do is you’re going to publish an article, a blog post, piece of content on your blog. Basically, this one’s a couple years old. A call that we just recently had with our Facebook rep, we used to think that they used like 6 or 7 or 10 data points. They actually used around 1,500 data points to match things up. It’s really powerful. So you can do lots of different targeting. So then, what you’re going to do is you’re going to amplify that and then you’re basically going to have an ad in the newsfeed. Another thing that we like to do here, so if they click on this, it’s going to actually take them to the blog post. This is another example of actually one that’s running right now for me. Notice I’ve got the word “blog” in there. That’s just a little thing that we like to do sometimes. Typically, if people see a sponsored post, their radars come up. They think you’re trying to sell them something or get you to opt in. So if you’re going to do this, that’s just a little trick to do. You’ll get higher click-through rates; you’ll get a lot more shares, comments, stuff like that. So I usually like to put “blog” or “blog post” in the post copy there. Bottom right, this one here was actually just boosted. So if you’re overwhelmed, if you don’t know how to run Facebook ads, if you’ve never been in there, there’s so many different ways to get confused. 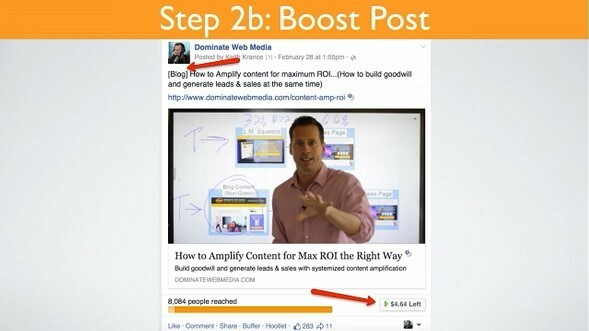 You’ve got the ads manager, you’ve got the power editor, or you can just boost your post. You can just boost it like this and you can select a few core audiences. You can’t do as much as you can inside the ads manager or the power editor. You can’t segment out or separate out the right column in newsfeed and desktop and mobile and stuff like that. But if you want to do it quick, what you can do is you can boost it and then you can actually set some basic targeting, and then later on, now you’ve got this inside your ads manager and you can just duplicate it and then you can just change things up if you want. So that’s just the quick and easy way. You want to be able to do this without getting stuck. That’s the key. Then what happens? They click on your ad, they come back to that post. They land on it. So here’s another example of one. This is a blog post on my site and then here are a few things that, if you have a lot of, in this case, there’s quite a few, but I wanted to really point out that the example of calls to action. So in this case, it’s a blog, but you don’t have to opt in to consume this content. So you’re creating good will. But if you have some calls to action around that, you’ve got the sidebar kind of banners. You’ve got the hello bar at the top. Some people have a good opt in throughout their site right below the header and below the menu. And if you can, really try to create unique lead magnets. So we’ve got some blog posts where we don’t have unique lead magnets yet because we haven’t created them yet, but the difference is unbelievable. Right here, all this is the LeadPages leadbox. When they click here, they download the 9-step mindmap because it’s so similar to that post. It’s got an 85% opt in rate when they click on that. 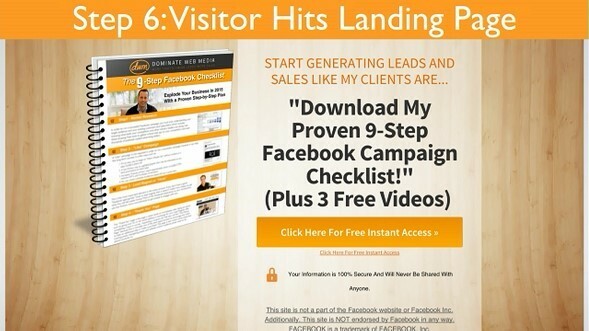 So you get a lot more opt ins. 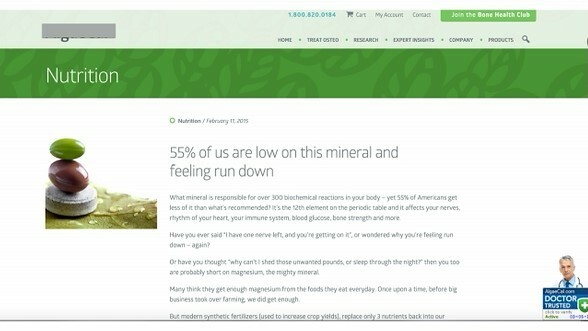 In this case actually, there’s $1,200 spent just amplifying this post, 338 leads at a 21.4% conversion rate. Now that’s pretty high. Most of my blog posts, we do this, don’t get that high of an opt-in rate just by coming to a blog. It’s not a landing page. But normally, even if it’s only a 5%, who cares, right? Because we know that everybody that lands on our site, we’re tracking them. They’re being added to our website custom audience. This is a retargeting list. So you can do lots of cool things. One assignment I’m going to give you at the end of this is to make sure, if you don’t have Facebook’s website custom audience code or pixel on your site or blog yet, you’re going to have to do that. 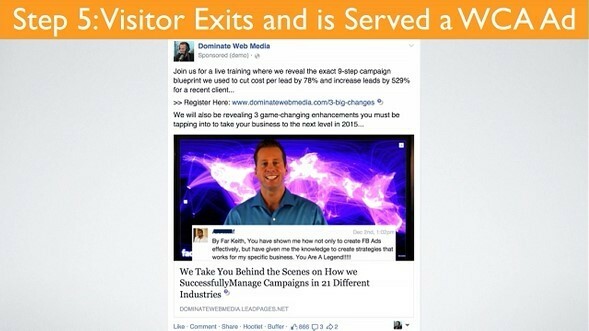 Raise your hand if you have a website custom audience placed on your site right now. OK. About maybe 2/3 of the room. OK. I want everybody, if you can, either do it tonight, like right after this, before dinner, or send an email after your developer and that’s going to be a part of our list and I’ll show you how to do it if you don’t know how to do that. This is very important because it’s an asset. You have to think about these website custom audience lists as assets. Yes, it’s owned by Facebook. So it’s not quite as good as an email list, but this is an asset. This is my favorite strategy in the world. Lots of different ways to do this. So here’s an example here. What happens next? Step 5. The 80% of the people that didn’t opt in or didn’t take action, they leave. Well, what happens now is they actually see a different type of promotion. Maybe not right away; maybe the same day, maybe next week. It just depends on what’s going on in your funnel or your business. In this case, it’s actually, they click on this and it takes them to a webinar registration page. But actually, just a little side little hack here, originally when I did this ad, I wanted to do a video ad because I love video ads, which I’m going to show you here in a second, but the audio was messed up, my mic. And Ryan Spanger knows that I had this little thread in SilverCircle about the new mic that I got, but my mic was messed up and I was actually in San Diego so I’d planned on running. I love video ads the most. If you’re going after cold traffic, they don’t know who you are and you’re trying to get them to opt in or register, video is a great way to do it. So I didn’t have one. So I always like to figure out a way I can show proof. Always be thinking, “How can I create good will? How can I create proof?” That’s the key. 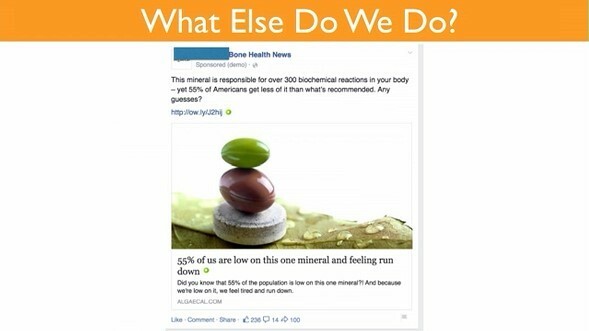 So I just found a screenshot testimonial and just overlaid it on my image; still had less than 20% text, because Facebook will not let you run promoted posts or Facebook ads if you have more than 20% text overlaid on the image. They used to, but they don’t let us do that anymore. So this barely made it. But you get that instant credibility. Third party. That’s the key. So always be thinking, at least little tricks like this. It makes a big difference. So that case, they click on that, they go to that webinar registration page or maybe, it’s a Facebook checklist. Actually, let me go back for a second. The guy on the right there, that’s Ralph. He’s my agency partner. He’s sitting right there. By the way, Ralph raise your hand. So he’s a ninja. Big time. A lot of you guys know him already but if you do have any questions and if you want to ask me afterwards, feel free to come up to Ralph. He knows just as much, or more, about this stuff. He and I did a webinar together. Or maybe you’re running traffic just to a basic lead magnet. Facebook checklist, 9-step checklist. But the thing is, the key here is, guess what? Most people that are seeing this have already seen some piece of content. It’s like meeting that guy at the party. Nobody likes to meet that guy where he’s trying to pitch you or set an appointment 30 seconds after meeting them. That’s really the same thing as a lead magnet, as a landing page. You’re asking them to give you something before you give them something. That’s OK. We know we need to be doing this. But if you can provide some value, with that none-gated content, it’s pretty cool. 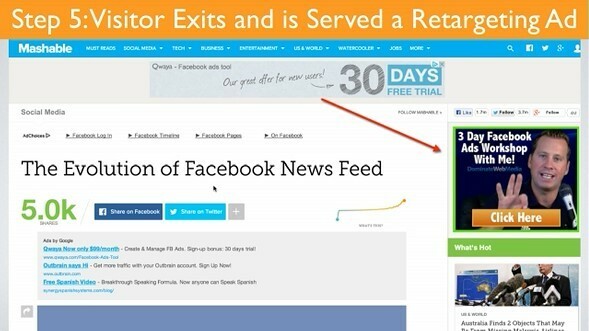 Or you can do Web retargeting. You can just do a banner ad that shows throughout the rest of the Internet like that. Now, here’s another example. Here, I’ll draw this out for you. Basically, this one here questions about Facebook Ads University. It’s my membership site, where this would display to somebody that had landed on my sales page but has not yet bought. So they click on that and then they land here, which is more of a sales page. But the only people that would see that, and that’s a video going over some Q&A and stuff like that, would be people that land there. So basically, let’s say you’ve got your content here. So you got blog posts here and then over here you’ve got maybe a landing page here, and then over here you’ve got a sales page. Maybe you’re amplifying content here and then you’re telling Facebook that you’ve got an ad that you want people to go to a landing page. So you’re telling Facebook, “I want to display my ad to people that have landed on this.” So you’re going to include them, yes. “And I want to exclude people that have maybe landed on this page.” So what’s that, this is my sales page. So maybe after people opt in to my lead magnet, they opt in, they land on a thank you page. In my case, the thank you page is a sales page, so what I’m going to do is I’m going to tell Facebook to put that ad in front of people that have visited any page in my site. And I’ll show you guys a better mindmap at this in a second, I’m just kind of trying to explain it as much as I can here. So they land on your blog and then they have some people, that people that have opted in and landed on the sales page, they’re going to be excluded. So they’re not going to see that. So if we go back here, the only people who are going to see this, this ad right here, this one right here, these are the people that have visited the blog but have not opted in. That’s the key. This one here, these people have visited the sales page here but there is going to be another one over here. This is going to be the sales thank you page. So everybody that’s landed on this page here, they’re going to be excluded from that. So in Facebook ads manager, it’s pretty easy. You just include, exclude. Include, exclude. That’s all you do. Sometimes, it really seems complicated, but it’s not as complicated as you think. Step 7, they’re in your funnel. OK, cool. So basically now, the key here is, this is the typical stock image of a sales funnel. 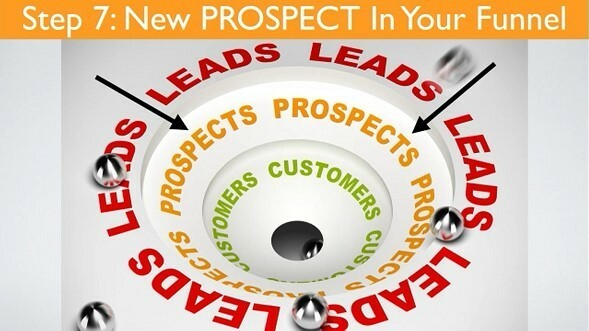 Notice how you got leads, prospects, customers. 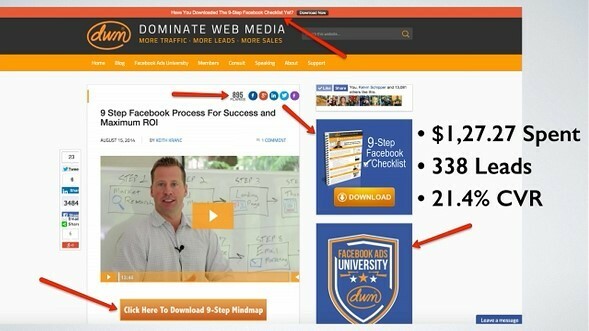 When you do this, you’re really skipping the whole top part of the funnel. They’re coming down under one more layer. They’re really prospects. It’s kind of like somebody that’s been on your email list for one or two emails because they’ve already consumed that piece of content. This right here is how it works. So basically, you’ve got your article on your website. You’re going to amplify that with Facebook. Then what’s going to happen is that visitors are going to land on your blog and maybe 5%, maybe 20% of them are going to opt in or take action. Maybe they’re going to share the blog. But the rest of the folks, they’re going to bounce off and then the people that do, they’re going to get served up something else. Something maybe more promotional or something to take action. Sign up and come to your live event, something like that. 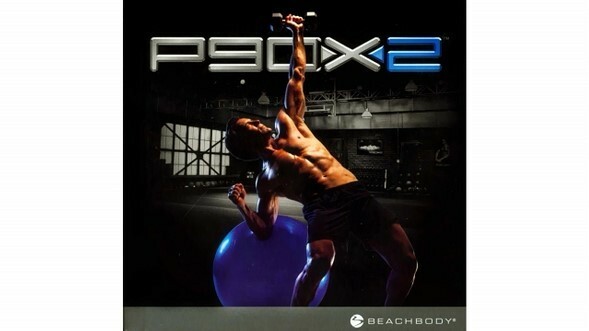 P90X. Anybody know the number one reason why an infomercial just blows up? Where it does $200 or $300 billion. What’s the number one reason why an infomercial is successful? Anybody know? Keith: Sorry, I couldn’t hear you. The number one reason why, Ryan Spanger might know this, if he’s in the room, is basically story-based testimonials and case studies. So if you watch any good infomercial that’s been running, especially like a 28-minute one, you’re always going to see tons of stories. 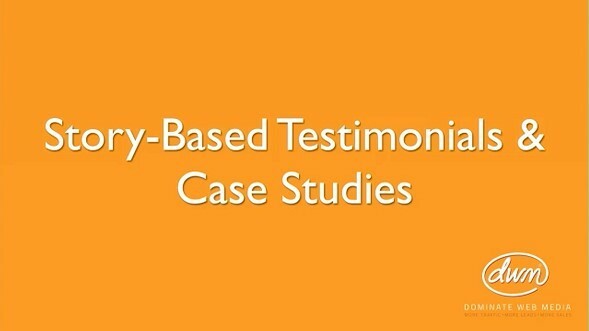 Story-based testimonials. Story-based testimonials, before and after, regular people, what happened here, their journey from here to here, their weight loss. This is key. So what we want to try to do is, do this as much as you can with your campaigns. Like I said, the stuff I’m talking about right now, this is Facebook advertising-specific, but if you’re going to be running YouTube video ads, which I think is by far the next big thing, all the stuff I’m talking about, pay very close attention because it’s exactly the same principles. And this is why most people are failing at YouTube video ads right now, because they don’t understand some of this stuff. 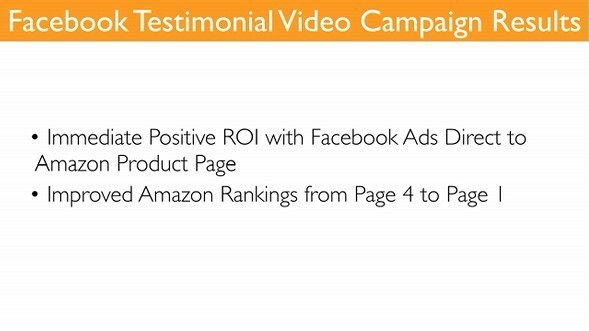 So, Facebook testimonial video campaign. This is one my favorite strategies. This is a way to kind of hack Facebook. We have a client where I look at their lead magnet or the landing page and I’m thinking, “I don’t’ know. This isn’t really Facebook appropriate. They’re trying to sell too much right away.” What I do is I ask them, “Do you have any good video testimonials?” And if they don’t, then I say, “Here’s what you’re going to do to go get some. 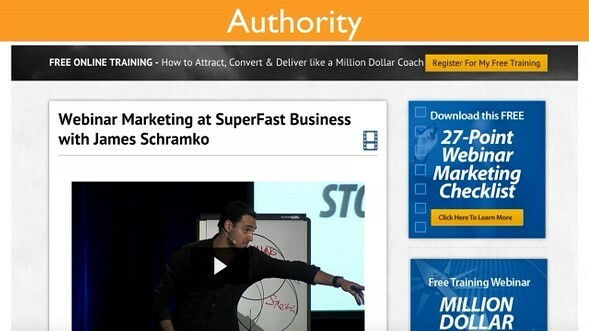 You need to incentivize your list, you need to get video testimonials.” It’s the key. So I’m going to show you an example here of a case where a client got immediate positive ROI with Facebook ads. Well, not “got,” “is getting.” This is continually happening every day. 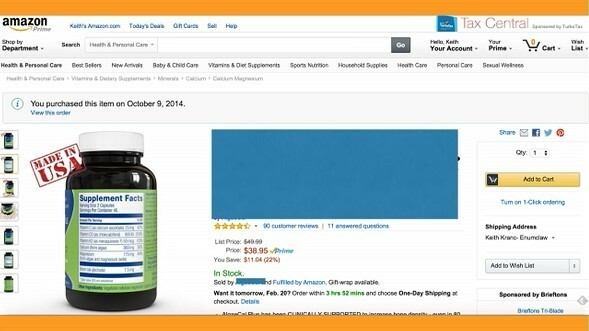 Positive immediate ROI with Facebook ads direct to an Amazon product page. Plus improving their Amazon rankings from page 4 to page 1. So here’s the picture of an ad right here. “Today, I no longer have osteoporosis.” “Like Debbie, get it here.” That video right there isn’t quite the Ryan Spanger type of video, right? It’s kind of a low quality, not real high production value video. Look at the bottom of that. How many shares, likes and comments are on that video? And that video is actually taking people here. To Amazon. This right here is a strategy that I would normally, not this right here. Taking traffic from Facebook directly to Amazon, normally, would be against every principle that I would ever teach. Normally, what do we have to do? We have to create value. We have to build value and give somebody some good stuff in return. We can’t just drive traffic from Facebook to Amazon. That doesn’t make any sense. Normally, we wouldn’t do that. They’re not searching on Google for that solution. But why are we doing it right here? Anybody know why we’re doing it right here? 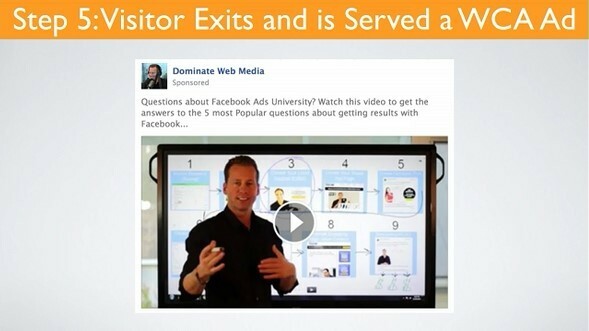 Keith: Retargeting? We are doing that, but that’s not the main reason. The main reason is that video, it’s the only reason. So the reason why, this is a $38 product, is because this video, this one-minute video, “Today, I no longer have osteoporosis,” she says that in the video. That’s not a claim. They’re just taking a quote, that’s why it’s in quotes. That’s key. That’s part of the story here. Then there are comments. Some people are in the comment thread saying, “Well, I don’t know about that. That’s not true. Maybe it is. Maybe it isn’t.” And then the company can go in there and they can respond. People share videos. They like them. They comment on them. And you don’t get as much negative feedback. You don’t get people saying, “Get the F off my newsfeed,” because they think it’s their newsfeed. They pay a lot of money to have their Facebook account. If you’re running Facebook ads, you’ll start to see what I mean. So it’s common. But the thing is, when you’re doing this with a blog post, if you’ve got the blog in brackets or you have a video, you don’t get those. You might get a little bit, but it’s about 10% of a typical link post ad where you click on the link and it takes them off of Facebook. So this is the stuff that you’re going to want to do in addition to. I’m not saying only do video ads. This is an addition to. So take it from the video to Amazon. Here’s another example here. 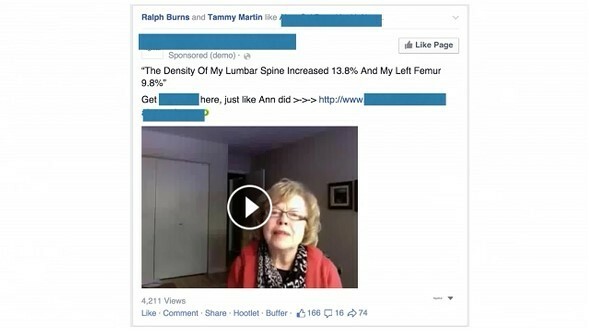 “The density of my lumbar spine increased 13.8% and my left femur 9.8%.” “Get it here just like Ann did.” In this case, it’s the same thing, basically. So what they’re doing is they’re taking this customer and it’s an authentic video. It’s an authentic video that doesn’t look like a commercial. It looks like something you’d see in Facebook. It looks like a cat video. So people click on them. So having that, it really, really helps. So that’s one of the reasons why. Let’s talk about the rule of 3. About 2 years ago, I was at Jack Canfield’s house for a mastermind and there was a guy. He’s like 75 years old, I can’t remember what his name was, but he’s a Hollywood producer. He produced the Michael Jackson, “We are the World.” Remember “We are the World”? It was pretty cool. He produced that but he’s really connected in that whole world, and he talked about the Rule of 3. The Rule of 3 states that, well, this is what the Hollywood productions will do when they’re getting ready to promote a big movie. They want to make sure each consumer is hit by 3 different modalities of a campaign, of a promotion, within a super short period of time. So that means like within 1 to 2 days, they see a commercial, a newspaper ad and a radio ad about a movie. 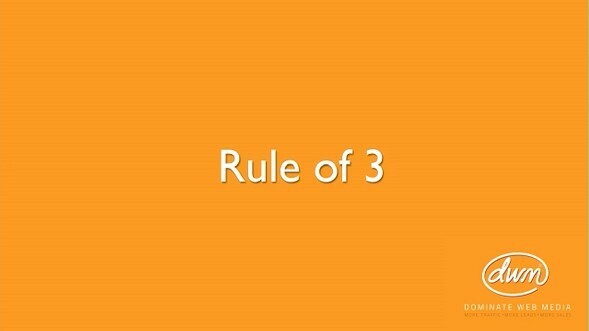 So what you guys want to do is you want to have this Rule of 3 with all your marketing. So this could be what? This could be a newsfeed ad, it could be a right column ad, it could be a video ad, it could be email, it could be a display ad, it could be YouTube. Lots of different things. The point is, though, you can actually do this with a regular, amplifying a blog post, running a video, maybe it’s a testimonial video, maybe it’s you on camera talking about your product and then taking them, they click the link and it takes them off of Facebook to your opt in page or to your sales page. Always be thinking of the Rule of 3. How can we have different modalities? 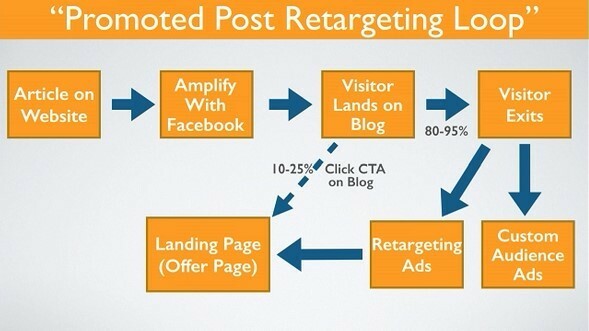 I’m giving you these strategies, but the one thing to realize is that, like the promoted post retargeting loop where I talk about driving traffic to a blog then retargeting them back to your lead magnet, that’s a strategy that we’re going to use but it doesn’t have to be like the only strategy. The key is hitting people from different angles. And it makes a big difference. So the same client, but I just showed you the video testimonial ad, we do this too. What’s this? It’s a blog post. 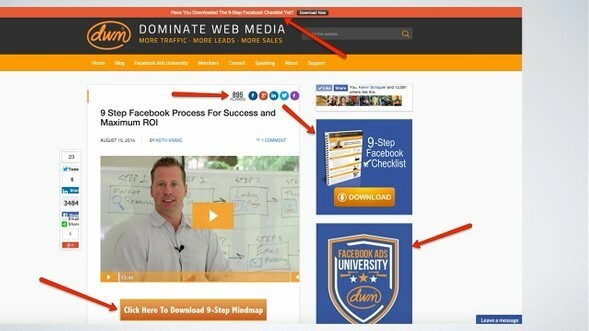 They click on that, that image is clickable and it just takes them to a blog post. There are some clickable links that take them to their product below the fold there. But it just basically takes them to a blog post. This is something you might want to take notes on here. 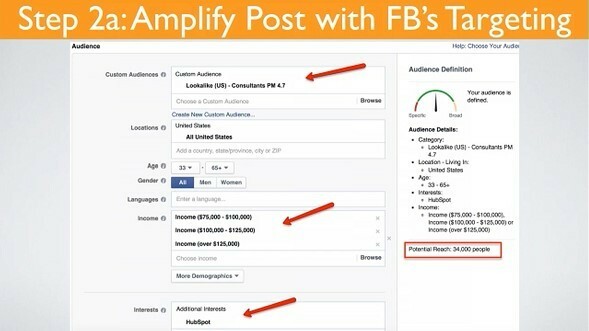 Trying to think of what content I can use to amplify with Facebook? What? Here are some great choices for you. Number one, authority content. Number two, case study content. Number three, how-to content. And number four, informational, like eye-opening, shattering a common belief. Now of course there’s tons of different ways to write blog posts. There are tons of different templates. We know that, right? But the reason why these are important is, I’ll show you, but basically, let’s just give you a couple of examples. Here’s Taki. Here’s a campaign that we promoted here with Taki up on stage. Guess where? Here, last year, right? So this is Taki’s blog post. So this gets amplified in Facebook. They click on this. It takes them to his blog. This is Authority content. 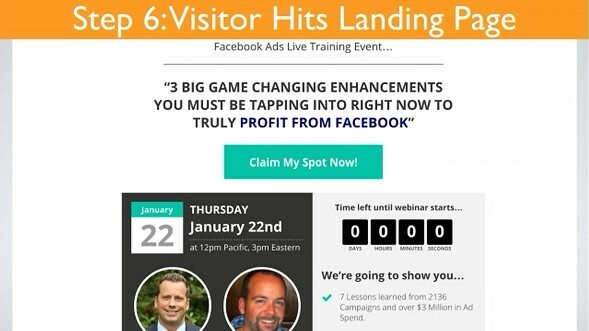 Now, everybody that lands on this gets retargeted to his webinar checklist landing page. They also get retargeted; it just depends on what’s going on. It might be a webinar, or it might be actually some people will get retargeted and they’ll get taken right to his sales page for one of his local live events. But most people are already opted in, already on the list. So the people on the list, they’re going to get emailed, they’re going to say, “Go sign up for my whatever it is, 200 bucks, 500 bucks.” But some people, when it’s coming up to deadline, when it’s coming up maybe a few days prior to that, people that are on the list are going to get hit, of course, but also anybody that’s been to the site and not even opted in yet. It doesn’t matter; you’ve already given them that content so you’ve built that trust and authority. So that’s one way that we love. Authority. So he’s up on stage. It’s instant credibility.